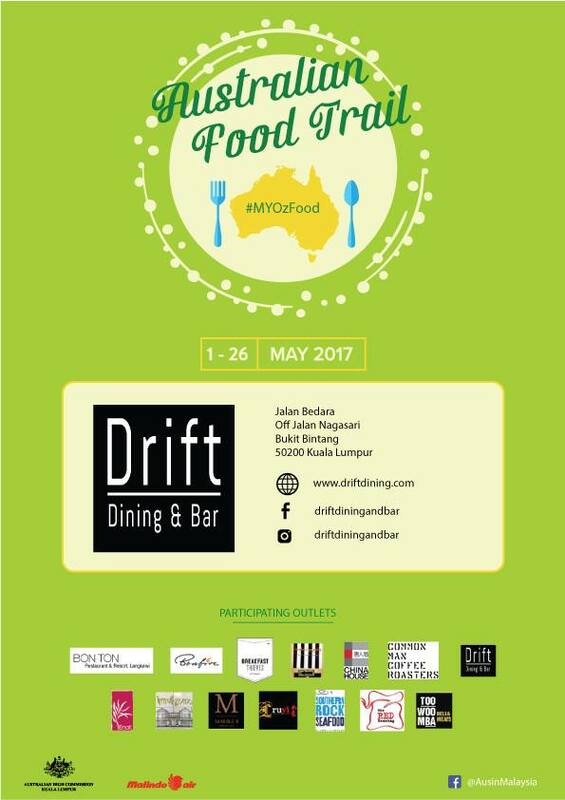 The Australian Food Trail is a month long campaign (From 1st May until 26th May 2017) organised by the Australian High Commission, Kuala Lumpur to celebrates Australia’s delicious foods as well as the strong people-to-people links between Australia and Malaysia. 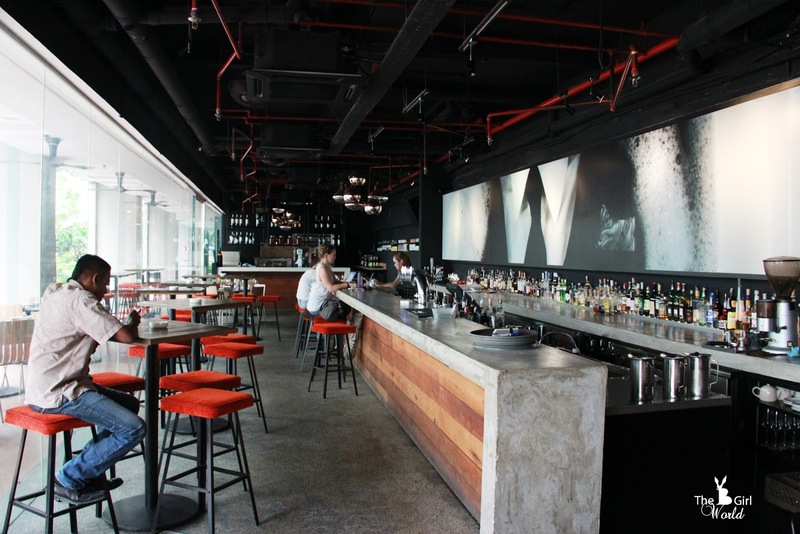 There are 14 leading Malaysian restaurants and cafes showcasing their interpretation of Modern Australian cuisine. Click here for my previous blog post about this. 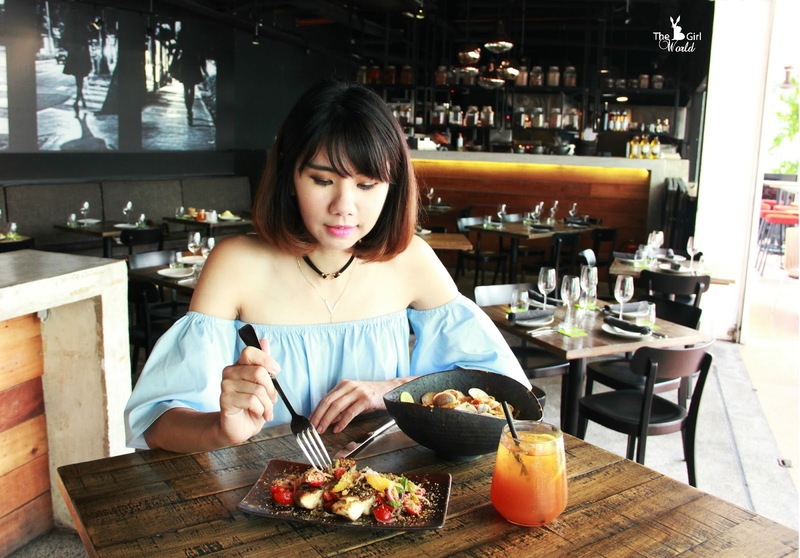 Few days ago, i had my leisurely lunch with my friend at one of Australian Food Trail's participating restaurant, Drift Dining and Bar. 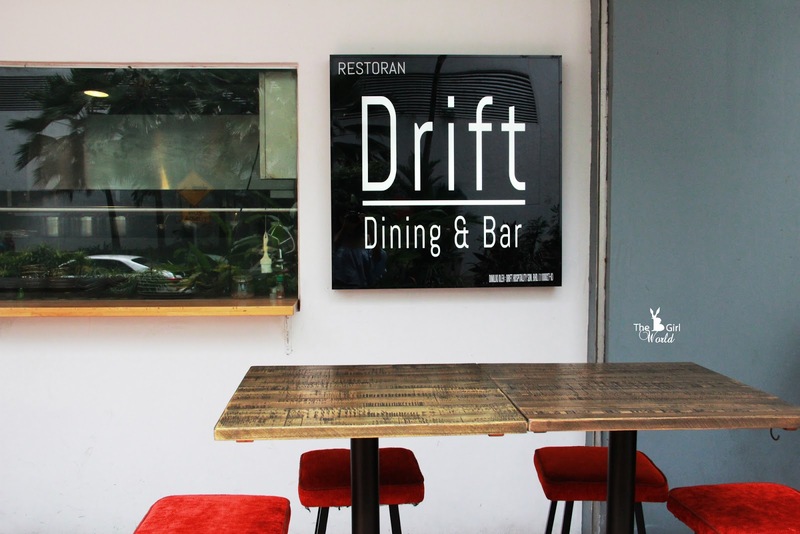 Located in the heart of Kuala Lumpur, 5 minutes away from the happening Changkat Bukit Bintang, Drift Dining and Bar is a Modern Australian eatery which is owned by Aussie expat, Robert Gilliland. 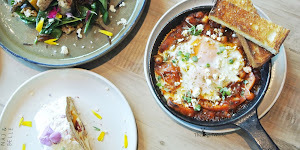 The food at Drift is influenced by the many cultures and nationalities that call Australia home, with a focus on quality of produce and the dishes are fresh, vibrant, beautifully simple and designed to be shared. They will be featuring a medley of mouth-watering dishes in Australian Food Trail campaign, but i only managed to review one of them which is crispy skin barramundi with olives, mint and orange. Do you know what is barramundi? It is a type of seabass native to Australia. 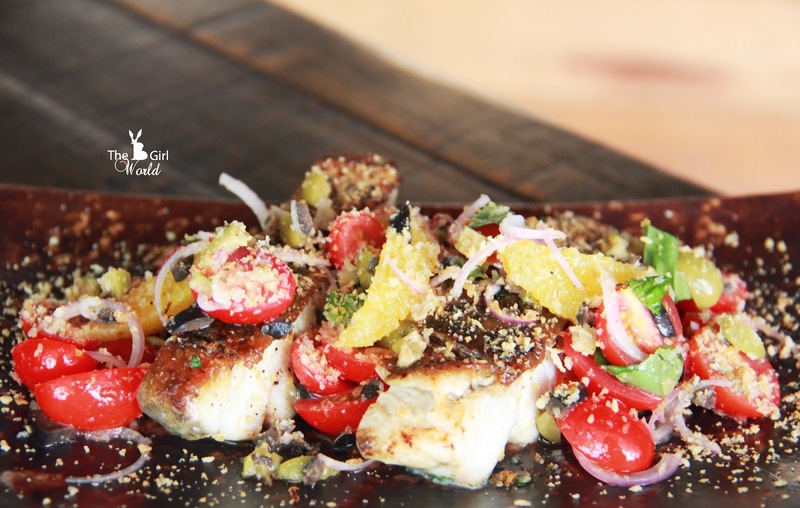 I love the flaky white flesh of barramundi with fantastic crispy skin, accompanied with cherry tomatoes, orange, mint and herbs & olives. So satisfying! This is a lunch dish you could have every weekend! 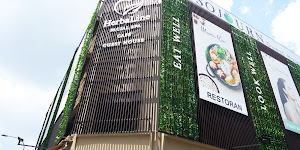 Apart from the featured dish, they recommended me some dishes from their lunch specials menu. 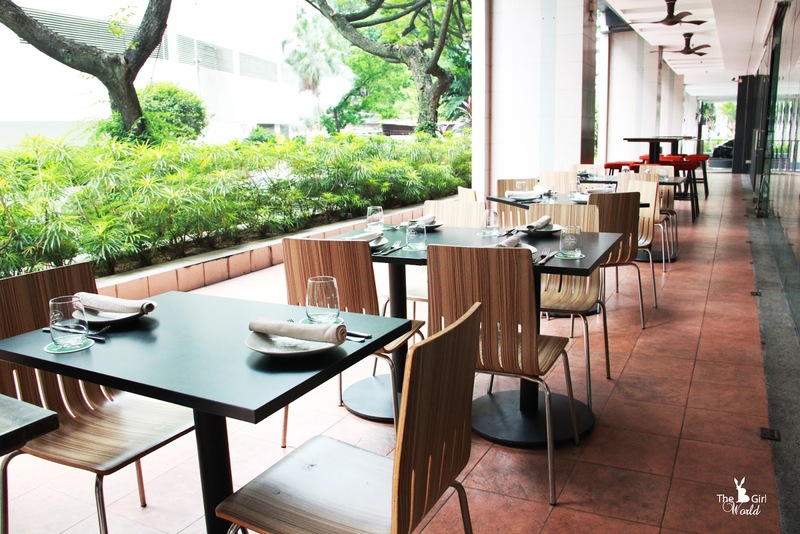 The menu is available from 12pm - 4pm daily, included one ice lemon tea. 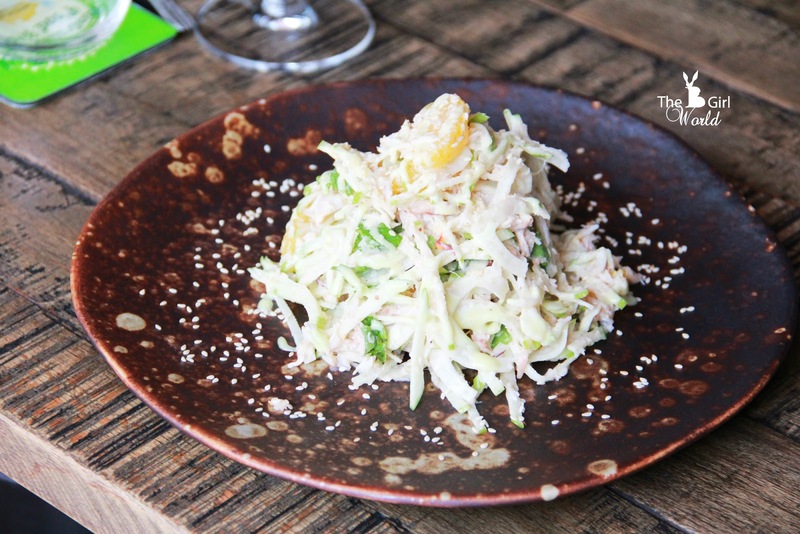 My first time to try this salad, the orange and fennel is surprisingly perfect match in this light and refreshing salad. 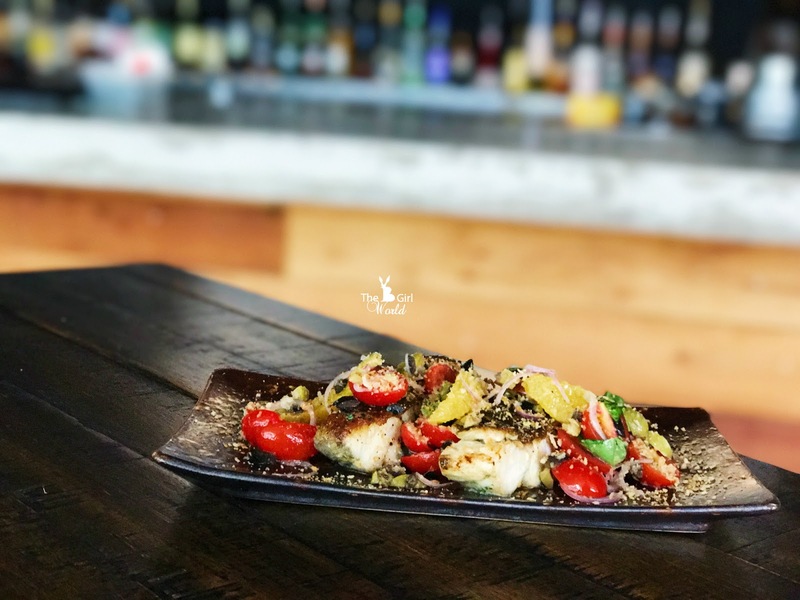 Mix well with the crab meats, green apple and Wasabi Mayo dressing, each savory mouthful brings a burst of flavours with the freshness elements. Spicy steamed clams and linguine is like a match made in heaven, seasoned it with chilli, garlic and pangrattato (breadcrumbs). 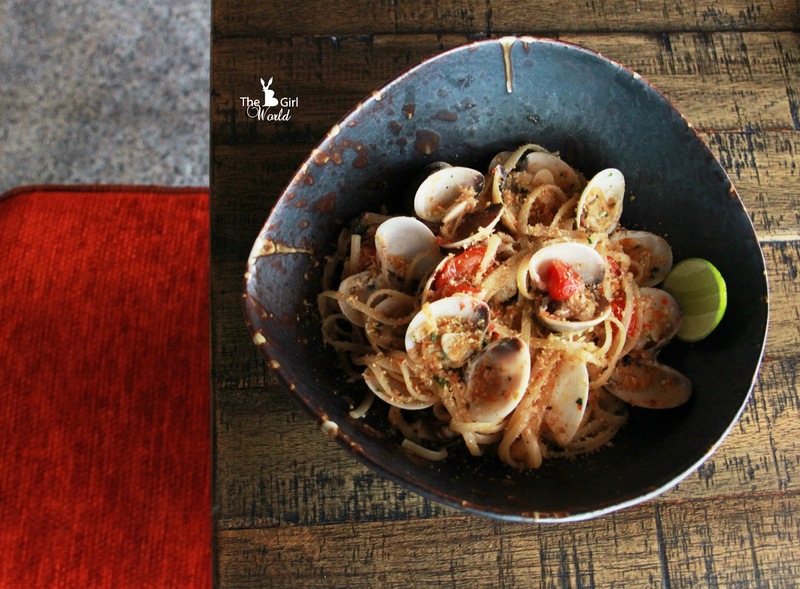 It's a light yet flavorful linguine infused with the tangy spicy clams juice, we are so in love with the delicate flavor to everything from linguine to clams! Unlike to other US oyster, Fine de Claire oyster is less fleshy and more juicy with a balanced taste, serve with Champagne Vinegar and Shallots. 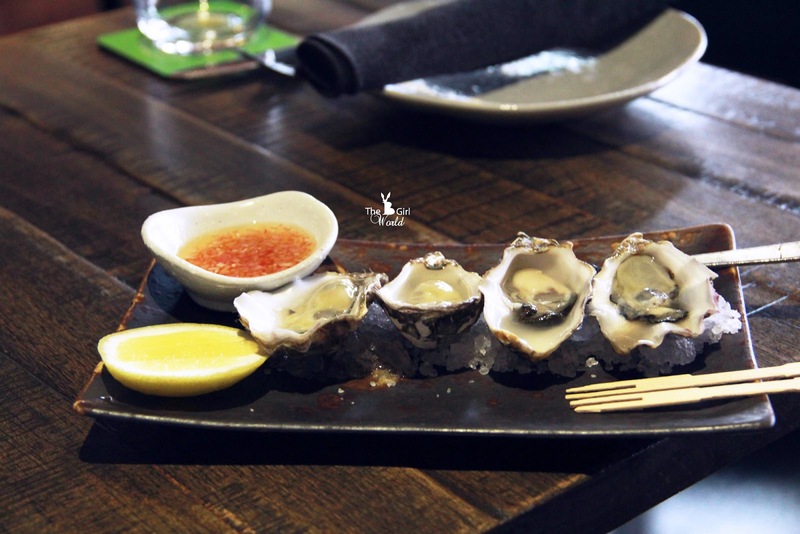 Recommended to you if you're a petite oyster eater. Do not forget to snap a picture to win 2 return flights to Perth! 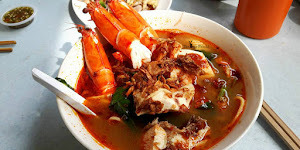 Participants in the Australian Food Trail will have the opportunity to win two return flights from Kuala Lumpur to Perth courtesy of Malindo Air. Consolation prizes of health screening vouchers from Gribbles Pathology are also available to be won! 1. 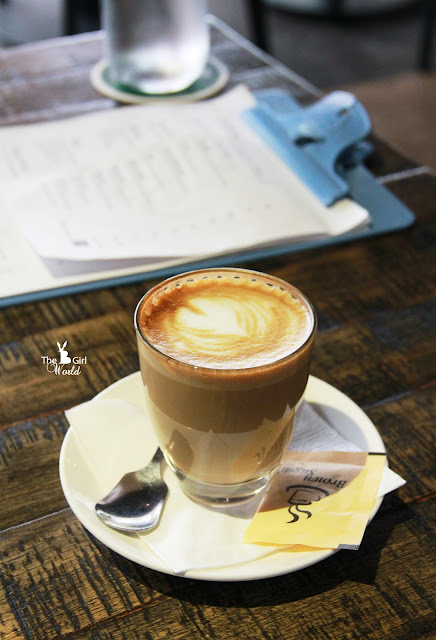 Visit one of outlets which participating in Australian Food Trail. 2. Order their featured 'Australian' meal. 3. Snap a photo of it. 4. Share it on Facebook by using #MYOzFood and tag @AusinMalaysia. 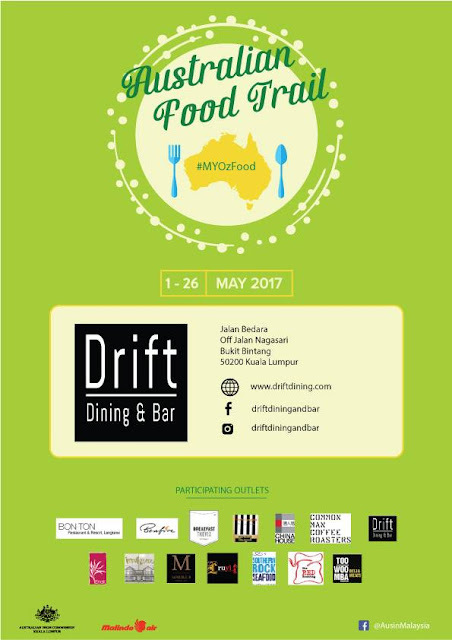 The Australian Food Trail runs from 1 to 26 May 2017. For more information, kindly visit Facebook page at https://www.facebook.com/ausinmalaysia/. 1. 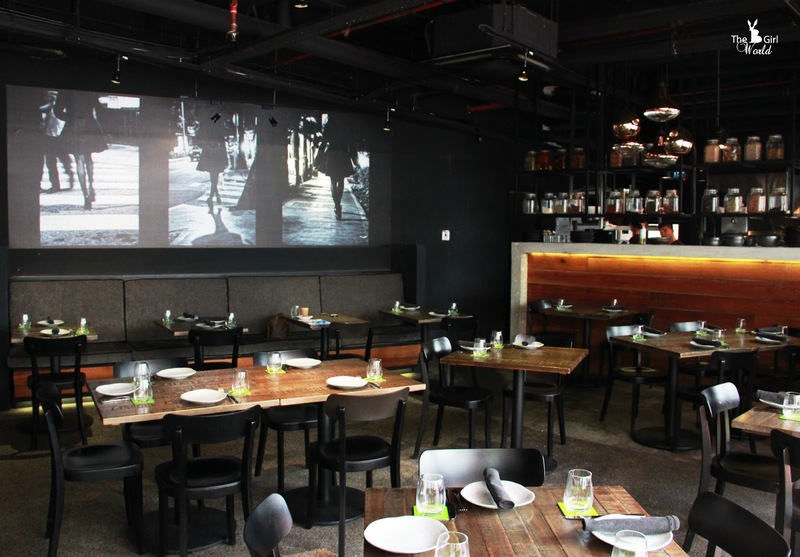 Relaxing and Aussie dining ambience. 2. 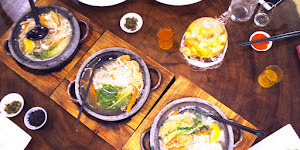 I am delighted with their fresh, unique and delicate Aussie dishes. 3. 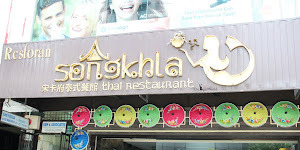 Around this area, their pricing is very reasonable and serve in big portion.